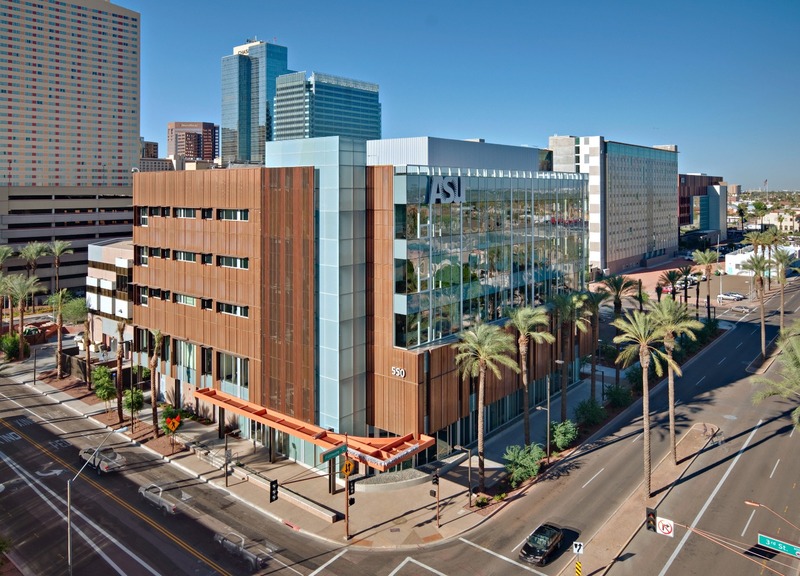 ASU's Downtown Phoenix Campus is home to the College of Nursing and Health Innovation. Our OSHA education center partners with the College to produce occupational safety and health courses that are relevant to the healthcare industry. The ASU Downtown Phoenix campus Visitor Parking Garage is located east of the University Center Building, 411 N. Central Avenue, two blocks west of the NHI Building. The Visitor Parking garage is open to the public from 7 a.m. - 10 p.m., Mon.– Fri. The charge is $3 per hour or $12 per day. The entrance to the parking garage is on 5th Street, north of Van Buren, at 400 E. Van Buren Street Phoenix, Arizona 85004-2240 (602) 271-4000. The charge is $10 maximum per day. This state of the art facility features free wi-fi in the classroom and public spaces for our visitors and attendees. Our instructors have access to office and conference room space and are available to students before and after class on the days classes are scheduled in the building. Located in the heart of downtown Phoenix, there are options for dining and shopping within blocks of the building. For more information on the facility, or on the College of Nursing and Health Innovation, please visit their web pages at https://nursingandhealth.asu.edu/contact/contact-asu-college-nursing-and-health-innovation.